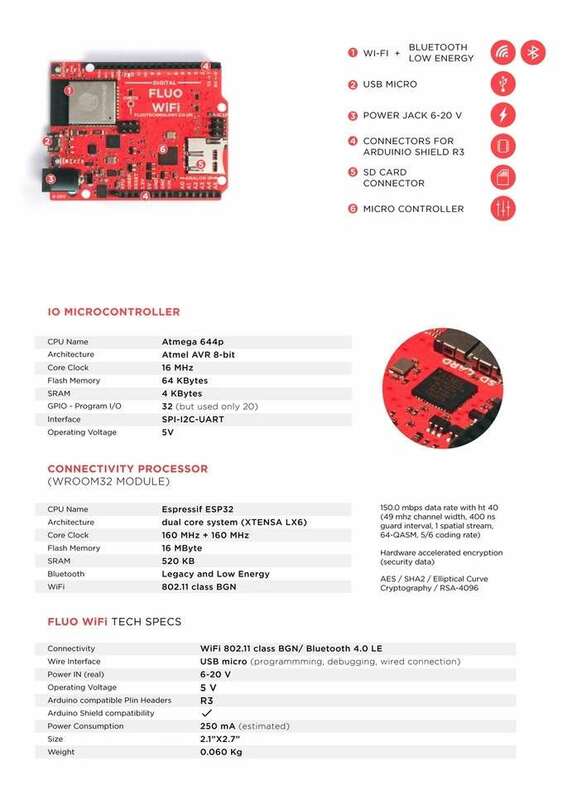 Makers and developers creating projects for the Internet of Things, may be interested in a new Arduino programmable IoT wireless development board which has been created by Adriano Costanzo based in London. FluoWiFi has been designed to provide a powerful yet versatile Internet of Things prototyping board that anyone can use and can be easily programmed using the Arduino IDE. Watch the promotional video below to learn more about FluoWiFi and the inspiration behind it. FluoWiFi is all you need to create your own IoT solution. It is a microcontroller board based on the ATmega644p by Atmel (Microchip) and the ESP32 module by Espressif. The ESP32 is a 2.4 GHz Wi-Fi and Bluetooth low power combo chip. It provides the right powerful Cloud backend thanks to support to IPv4 and IPv6, Secure HTTP, Coap, REST and MQTT protocols ready to go. The ATmega644p is a powerful 8-bit AVR micro-controller. It is fully Arduino™ fully compatible, making it the ideal solution for makers and creators that can’t wait to make the Internet of Things a reality. 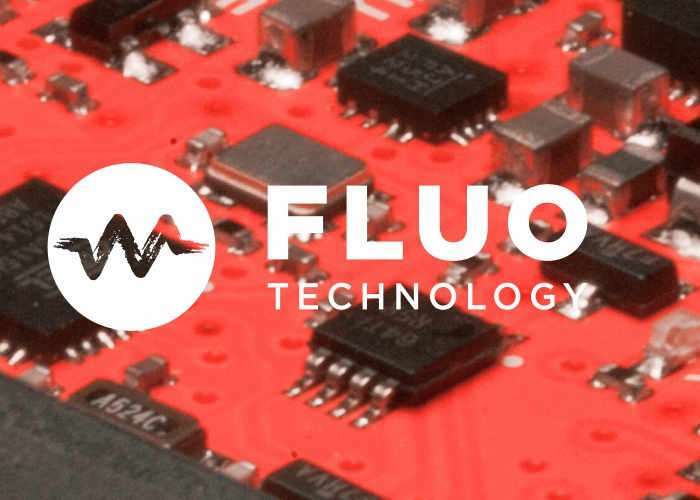 It is easy to program thanks to Fluo software exclusives such as FluoTube for access to the IoT and FluoOTA (Over The Air) in order to upgrade the program without wires, connected to its surroundings through numerous sensors, actuators and Arduino compatible shields. Whether you are an IT professional, electronics hobbyist, student, teacher, hacker, inventor, or just someone who wants to access to the IoT World, the Fluo WiFi™ is right way. For more information on the new FluoWiFi Internet of Things development board which can be programmed using the Arduino IDE jump over to the Kickstarter website for details by following the link below.